NeuLife Rehabilitation is one of the largest residential post-acute rehabilitation facilities in the Southeast with specialized rehabilitation programs for a wide range of catastrophic injuries. We are accredited by the Commission on Accreditation of Rehabilitation Facilities (CARF) in Brain Injury Specialty Programs and Residential Rehabilitation. The NeuLife team is comprised of clinical and administrative professionals, each contributing a unique set of skills and experience to the team. Collectively we have more than 200 years of clinical rehabilitation experience and provide an array of quality services and compassionate care for our patients and their families. Each member of our team works hand-in-hand to provide comprehensive and intensive therapies to each patient. Our programs are designed to help patients reach their personal goals and achieve a seamless reintegration into the community. 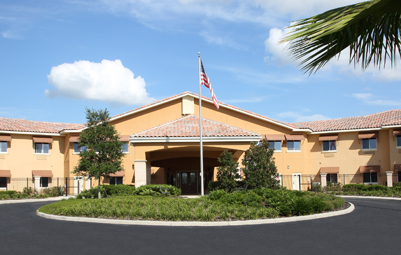 NeuLife Rehabilitation is situated on 43 rolling acres in Mount Dora, Florida, only 35 minutes from Orlando. When pulling into our beautiful entrance you’ll notice that it doesn’t look like a conventional in-patient rehabilitation hospital. The same is true once inside, as our facility is designed and decorated similar to a high-end resort with spacious private rooms with lovely furnishings. While luxurious, many of our features are uniquely designed to facilitate skill building and community reintegration. We utilize state-of-the-art technology with many therapeutic features to provide patients with the tools to achieve their goals. Skill-building activities aren’t confined to formal therapy. We also offer leisure activities in our game room, such as billiards and foosball, and it’s not uncommon for patients to enjoy basketball, tetherball and other outdoor activities on a regular basis. Mission: It is the mission of NeuLife as an organization to provide a comprehensive program of neurologic rehabilitation to support and promote the development of the quality of life for our patients. We strive to consistently provide the highest standard of care in the delivery of quality clinical rehabilitative services to patients with catastrophic injuries and other challenging diagnoses in order to produce superior outcomes and exceed the expectations of all persons served. Healing, wellness and personal fulfillment are best accomplished in a positive and uplifting therapeutic environment where a caring staff encourage, assist, and support all of our patients so they may achieve their specific goals. 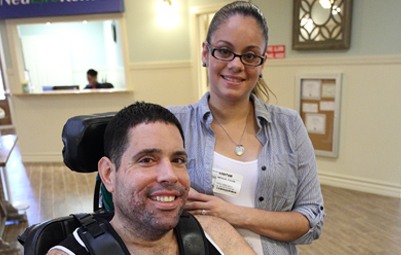 NeuLife Rehabilitation is dedicated to providing the highest quality of care. Our programs are outcome driven and accredited by nationally recognized organizations, such as the Commission on Accreditation of Rehabilitation Facilities (CARF). As a CARF Accredited Residential Rehabilitation Program and Brain Injury Specialty Program, NeuLife is continuously evaluated and measured for success. CARF accreditation is a reflection of the proven outcomes we continuously achieve through evidence-based practice. Families play an integral role in the treatment plan at NeuLife. We encourage frequent visits and work closely with families to develop a customized care plan. When our patients are ready to transition home, we provide education and training for family members to ensure a seamless transition. No matter the distance, we encourage frequent family communication by leveraging state-of-the-art technology provided to families all over the globe. 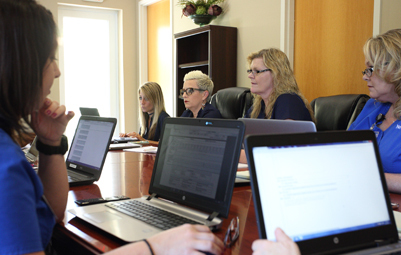 Our team provides families with information and resources regarding rehabilitation funding sources and mechanisms. We also work with numerous payers to develop cost-effective solutions.